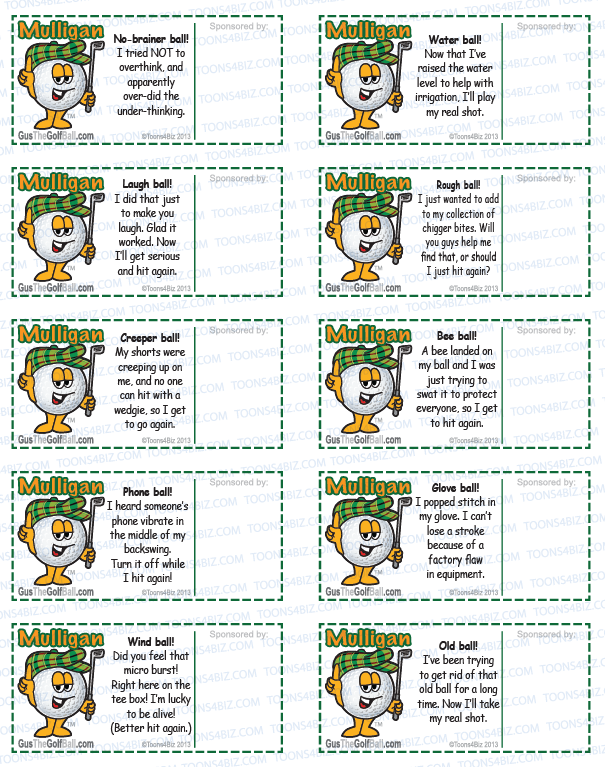 These Mulligan tickets are sure to produce smiles and be a topic of conversation. 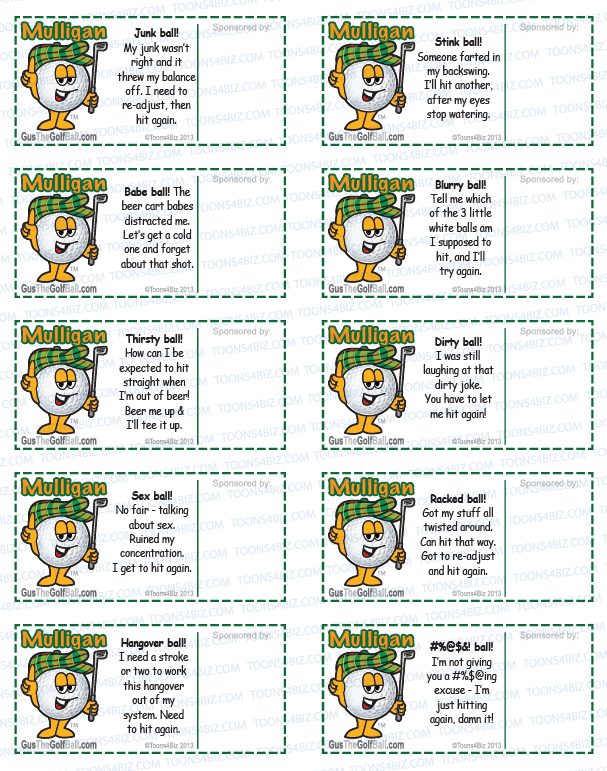 There are two Mulligan templates, each featuring 8 “excuses” for a Mulligan. One template is G-rated – appropriate for all ages. One is “Crass,” and is for boys who want to be boys. Give sponsors more bang for their buck by putting their logo on Mulligan tickets. Our templates are easy to customize. Simply insert images as you would any Powerpoint document, and print them out on your inkjet printer. These Mulligan tickets are G-rated – suitable for any age. This template can be easily customized with sponsor logos. Click image or the link to download. These Mulligan tickets are for adult men – boys who want to be boys. Not suitable for all ages, but guaranteed to put a grin on your face. Click image or the link to download.